Survivor Worlds Apart was bookened by scenes that suggested what this season–or even episode–might have been. At the start, Shirin, still stung by Will’s abuse at Tribal, is consoled by Dan, who seems to have real empathy. At the end, Mike makes a terrific play to shake up the alliance and save Shirin. And then both moments were ruined: by Dan Foley being Dan Foley, and by Shirin being voted out anyway. There’s not much to say about Dan the victim-blamer going from telling Shirin “I’m really sorry about what happened last night at Tribal” and “I had no idea” to telling us in an interview, “Shirin is a drama queen, she is a two-faced liar, she loves to play the victim.” Yeah, Shirin is the two-faced one, Dan. During the reward challenge, Mike’s team’s poorly chosen strategy ended up with a comical yet amazing attempt to walk on top of rolling barrels to the finish line. Tyler swiped Dan’s bag and discovered the advantage that was in it: a double vote. Instead of using that information to, say, vote out the person with a double vote, it went precisely nowhere. Sierra acknowledged Tyler is a threat and suggested she’d be willing to vote him out, yet ended up staying protected by the axis of evil, as Shirin called them. Then Will doubled-down on his awfulness. When Shirin said that Will “verbally assaulted me” and no one condemned his behavior, Probst asked Will what would happen if he made it to the end and needed Shirin’s vote. Why not apologize? Will said: “if I’m going to apologize, I want it to be sincere.” In other words, he’s not sorry for verbally assaulting a domestic abuse survivor. I really did mean for that to be a list of things I liked about this episode, but that’s the way it goes with season 30: the good fades into the bad like a fresh raindrop falling on a pile of steaming dog poo. Mike’s attempt to use his idol to convince everyone to vote out Tyler was literally jaw-dropping in its brazenness. He said he’d play it for Shirin, who’d vote for Tyler, while he’d vote for someone else. It was a brilliant way to create doubt and inspire them to turn on each other. He didn’t actually end up giving the idol to Shirin, though, presumably saving it to use on himself in the future. 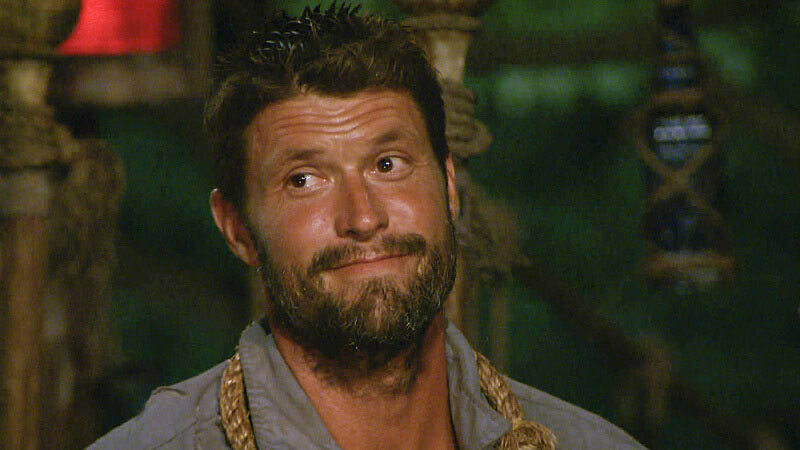 The preview suggests Mike’s strategy had some benefit, as it created doubt, but that may just be erased the next morning as the tribe goes back to being awful and/or pretending they aren’t awful. Almost anything would have been better than last week’s horror, but despite some moments of levity and hope, this episode was deflating. The villains are winning.